Thea Gouverneur-Aida Counted Cross Stitch Kit: 18 Count. Inspired By Nature, These Kits Are Detailed Using A Variety Of Colors With Results That Are Realistic And True To Nature! This Package Contains One 12-1/2X35-3/4 Inch Piece Of Aida Cloth, Pre-Sorted Dmc Floss, One John James Needle, One Easy-To-Follow Chart And Instructions In English. Design: Bulbs. Imported. • Thea Gouverneur-Aida Counted Cross Stitch Kit: 18 Count. Inspired By Nature, These Kits Are Detailed Using A Variety Of Colors With Results That Are Realistic And True To Nature! 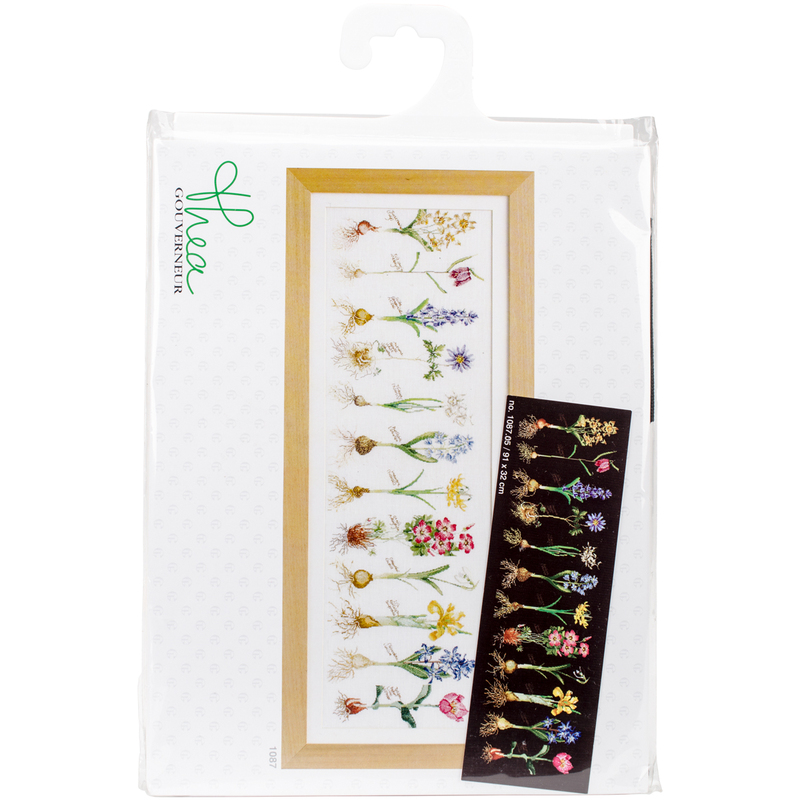 This Package Contains One 12-1/2X35-3/4 Inch Piece Of Aida Cloth, Pre-Sorted Dmc Floss, One John James Needle, One Easy-To-Follow Chart And Instructions In English. Design: Bulbs. Imported.